There is always an invitation from Fun Food Friends to walk the colourful brick road of Ice Cream Street throughout Fun Food Land. Every day is a tasty one with yummy food smells, delicious flavours and a lot of sweetness. However, there is a bad fry who’s come to town and he’s up to no good. Larry, a spoiled and rotten fry, is a trouble maker. He always ruins happy towns. His latest town to target is Fun Food Land. "This book is a beautiful example of story-telling and visual arts that inspires and encourages us to share the joy of reading and creating together." "Such a unique and charming book. Angela Joelle’s wondrously simple drawings bring the book’s fantasy food characters to life as true kids’-world- imaginings. This story can’t help but enchant every child who uses his or her sense of magic to bring things to life and then makes adventures for their marshmallows, cupcakes and burgers." "We were especially fortunate to have the book's author, Angela Joelle, visit our program for a read along and colouring session. She is a wonderful, and dynamic personality that my students loved! 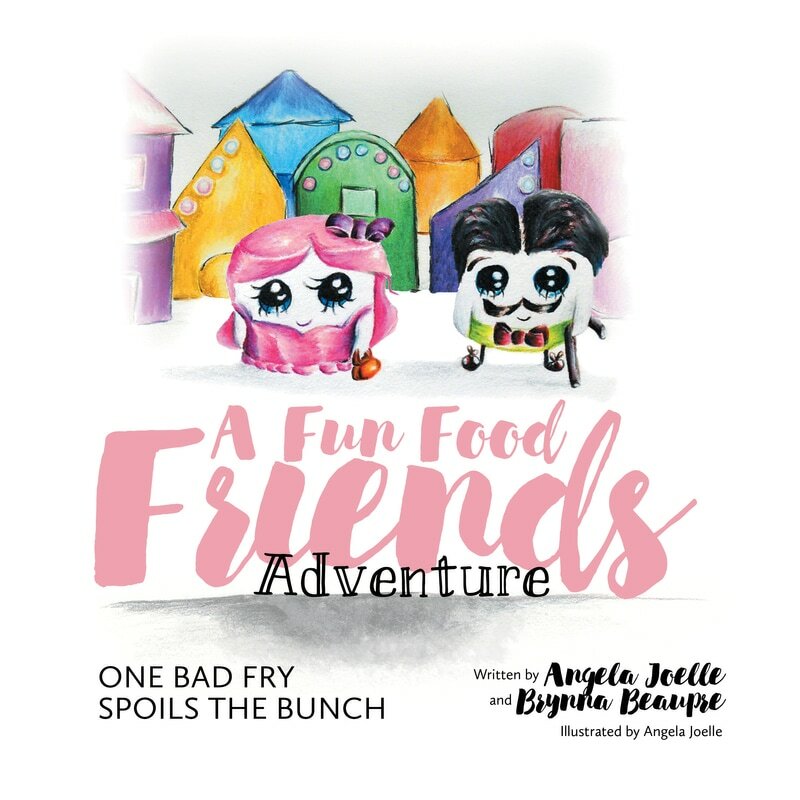 I highly recommend this entertaining book"
“A beautifully illustrated book, One Bad Fry Spoils the Bunch is a whimsical and sweet story of anthropomorphized food getting into adventures." "Fun Food Friends is a beautifully illustrated book full of warm characters that you can't help but love. The book shows kids great values such as compassion, friendship, and problem solving, while still being a fun read! I will read this book to my future kids!" "I like the artwork, and when I read it to my daughter, she said it was 'good.' We enjoyed this loopy story." “...is a fun adventure celebrating the joy of food." “The pictures are just gorgeous, with brightly coloured depictions of Food Friends. Angela and Brynna are an aunty/niece author duo...how cool is that!" Subscribe to the Fun Food Friends newsletter!